Launched in China by ByteDance in 2016 as ‘Douyin’, TikTok, is a mobile-only social network that allows users to create 15-second videos, most often set to the tune of pop songs. Without leaving the app, users can create exciting videos, using the impressive suite of built-in video editing tools, visual effects, filters, and features that can sync videos to nearly any soundtrack. Call it lip-sync karaoke, but it’s so much more! Videos of people dancing, cooking, playing with pets, and reenacting comedy skits - all find their place in TikTok. The app acquired its main competitor, Musical.ly, at a whopping $1 billion price tag. Why does TikTok matter to Brands and Marketers? Currently one of the fastest-growing social media platforms, TikTok has a monthly active user base of 500 million+, spanning across 150 countries. Since its US launch in September 2018, TikTok’s popularity has soared sky-high in the English-speaking world. By November 2018, TikTok was the second most-downloaded app in the Apple App Store and Google Play Store, and had inspired hashtag challenges, popular memes and celebrity attention. Truly global in latitude, it brings together musical audiences from various genres and in the process, enables the creation of amusing mash-ups between these sub-genres. The User Experience is visual and straightforward, appealing to the eight-second attention spans and preference for visually-oriented social media platforms. It also creates various possibilities for teen and college influencers to make a digital name for themselves. Of course, TikTok’s appeal lies in its goofiness. Yes, new platforms aren’t for every brand, but it’s crucial for brands and marketers to stay on top of promising opportunities to gain leverage over competitors. In this regard, TikTok seems to be fresh and exciting. In terms of marketing capabilities, it hasn’t been explored to its full potential and is certainly an untapped treasure trove. According to Adrenalin Media, By 2020, Gen Z will account for 40% of all consumers. Gen Z folks are far more tech-savvy, financially enabled, and respond best to on-point messaging that quickly delivers unambiguous value propositions. While they may all look young, they have completely different personality traits as they interact with brands and make purchase decisions. Deep diving into the innate presence of Gen Z on social media is a no-brainer if a brand is eyeing the huge potential of the Gen Z purchasing power. 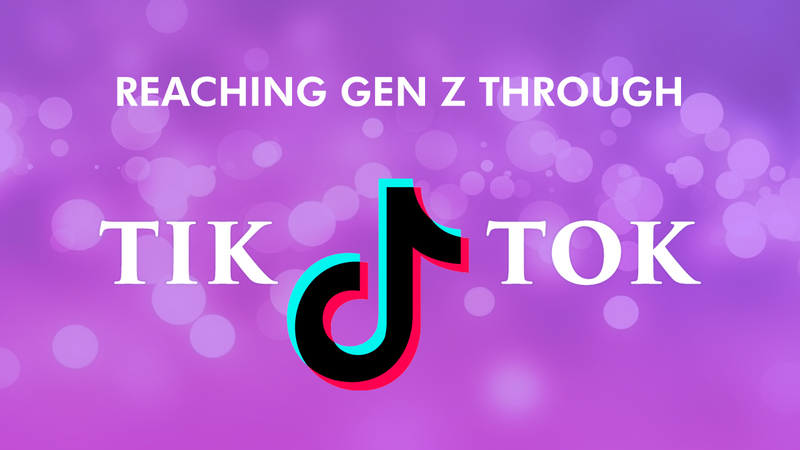 TikTok would prove helpful here, in providing brands and marketers with insights into the behavioral patterns and interests of these young consumers, equipping the brand to respond quickly and accurately to the latest trends. TikTok presents a unique opportunity for brands to create visually engaging, genuine, and relatable content. To win the heart share and mind share of Gen Z and Millennials, brands should focus on delivering content that promises long-term value and individualized customer experiences. Ultra-short videos are the perfect format to get the job done within the 8-second attention span of target users. Adidas, for instance, uses the platform exclusively for its youth-focused product line – AdidasNeo. The account regularly shares original short videos that appeal to their target buyer persona, promoting an effortless, active, stylish lifestyle. This includes a popular series of 15-second tutorials on outfit-matching, hip-hop dancing, and even video-making. Authentic and powerful user-generated content can go a long way in boosting brand visibility on digital platforms. On TikTok, user engagement is driven by hashtag challenges created by the app, as well as by individual users and brands. It goes without saying that hashtag campaigns are vital to social media marketing and bring in a huge chunk of traffic and awareness. Trending hashtags like #imadome and #chooseyourcharacter, are taking user creativity to the next level on TikTok, with endless music, dancing, lip-syncing and comedy skits. Fashion brand GUESS sponsored #InMyDenim, TikTok’s very first branded challenge. “As TikTok users open the app, they are directed to the #InMyDenim challenge that urges them to post videos with the hashtag”, reported Mobile Marketer. The campaign was roaring success with 34 million total views as users participated organically and enthusiastically. If you aren’t already thinking of what hashtag to use for your branded campaign, the time is now! Exploring a mutually beneficial partnership with Influencers is in vogue, but have you given a thought about Cross Platform Influencer Marketing? One way in which brands could do this is by crossing over TikTok to reach an audience on another platform like Instagram or Snapchat. The ‘cross-over’ would allow the TikTok Influencer to take over the brand’s owned and operated Instagram/Snapchat channels, while the brand can post the Influencer’s TikTok content within the flow of the usual content on its other platforms. When viewers swipe up, they’re directed to the influencer’s TikTok page and in return, the Influencer promotes the brand’s Instagram/Snapchat channels on their TikTok profile. Win-Win! If your brand has a brick-and-mortar presence, TikTok can be a useful instrument to connect with the online community, without the fuss of coupons and newsletters. The extent to which the TikTok community gets involved in accepting challenges and creating videos is rather interesting. Brands can easily tap into this space to lead TikTokkers into the offline store. Who would have imagined that a hotpot restaurant chain could break China’s internet with a simple call-to-action on Douyin? Haidilao encouraged customers to go DIY on their soup bases, dip sauces by mixing and matching dozens of ingredients and post these videos on Douyin. Within no time, food-lovers swarmed into Haidilao restaurants to film their own recipes, eager to showcase their cooking mastery and unique tastes. Yes, we’re hinting at Paid Video Ads. Although Douyin and TikTok are not identical, taking a leaf from Douyin’s book will certainly put your brand ahead of its competition, when it comes to TikTok marketing. TikTok is yet to launch ad units for brands or formal monetization products for creators, but it is only a matter of time -the moment paid video ads kick in, marketing through TikTok will take a huge leap. Time to start preparing, we’d say! Try getting into the game early. Since TikTok is still in its infancy as a social media marketing tool, brands may prefer to play safe and observe before investing in TikTok. However, considering TikTok’s presence, early adoption may significantly outweigh potential risks. Moreover, experimenting with a new social media platform will also help your brand maintain a fresh outlook. Ready to take the leap of faith into TikTok marketing? Wisoft has the professional experience and resources that will help structure your marketing strategy. Speak to us today!